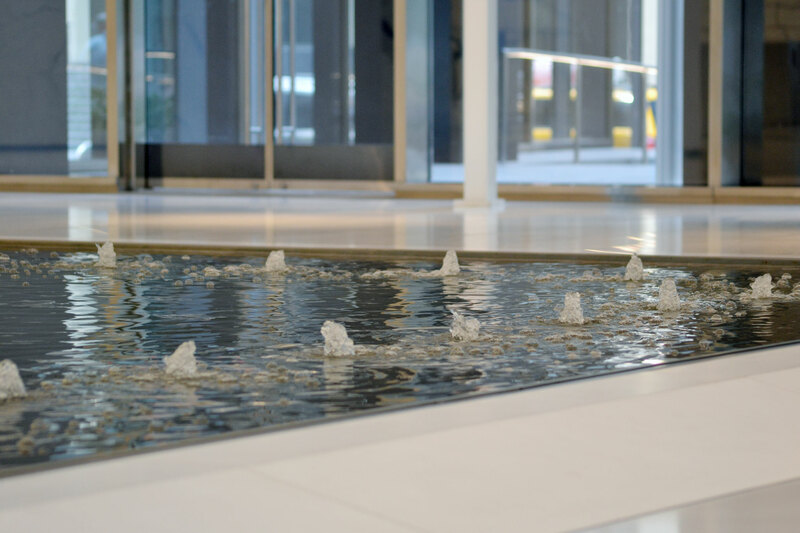 The lobby water feature inside 280 Park Avenue was part of a redesign project. 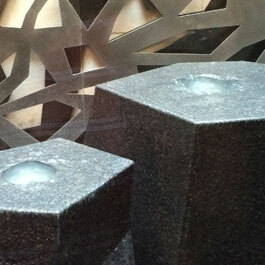 Indoor lobby water feature is a negative-edge fountain with understated bubbler nozzles. 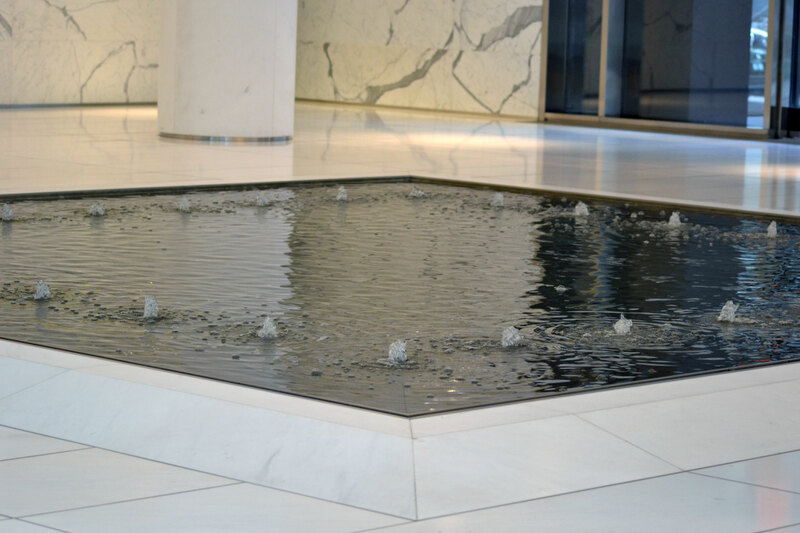 The water feature sits in the middle of the white marble lobby. 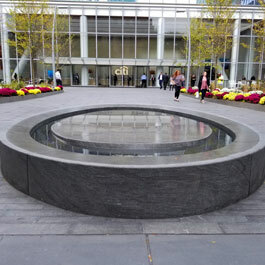 The 280 Park Avenue negative-edge water feature in was part of a massive lobby redevelopment project to the vintage 1960’s skyscraper. 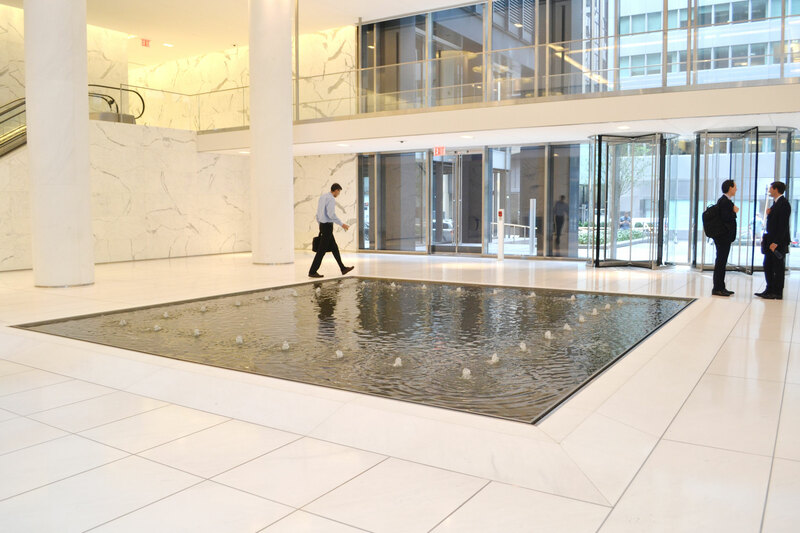 The lobby overhaul called for a large, open two-story entrance lobby constructed with white tile and marble and an understated water feature in the center. 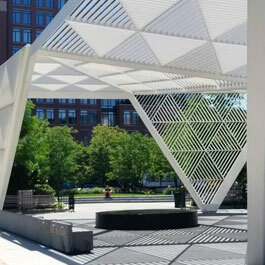 The negative-edge water feature sits slightly raised above the walking surface to ensure pedestrian safety. The pool is calm, but for the border of small, smooth bore bubblers near the outer edge of the square. 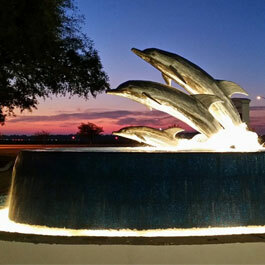 Delta Fountains provided the equipment and mechanical design of the lobby water feature.